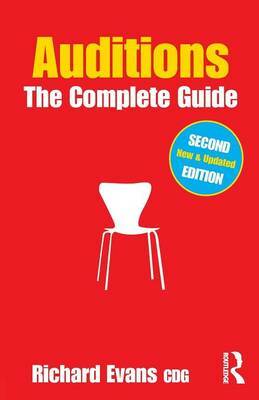 From training to triumph, nerves to networking and camera to casting couch, Auditions: The Complete Guide is an entertaining, accessible and indispensable read for every performer. Richard Evans CDG has cast a wide variety of productions in all media since 1989 and, prior to this, worked as an actor for 10 years. He has devised and presented audition and career development workshops at many top drama and theatre schools worldwide, and at the Actors Centre, London and has written Auditions: A Practical Guide (Routledge, 2009) and 'A Casting Director's Perspective' for The Actors' Yearbook, 2005. He is a member of The Casting Directors' Guild of Great Britain and Ireland.